Our LED headlight can be attached on Flip Up Prismatic loupes (3.0X,3.5x,4.0x 5.0x 6.0x) well. our LED headlihgt H60 packing including one unversal clip parts. 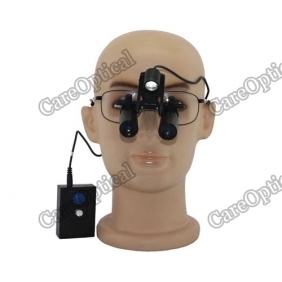 it can be attached on various kinds Eyewear Frames. Ni-alloy Frames and Titanium Frames can be mounted Prescription Lens. **2016 Christmas Season Promotions: Order this item successful (submit the order and checning out successful ) During Nov.29 to Dec.31,2016. this item will be free shipping charge. and have chance to get full charge refund.